The days are already cutting shorter. One of the first signs was the summer squash production rate slowing down dramatically. Our mid-season daily harvest, has lulled to 2-3x a week. Nights are growing longer, cooler. 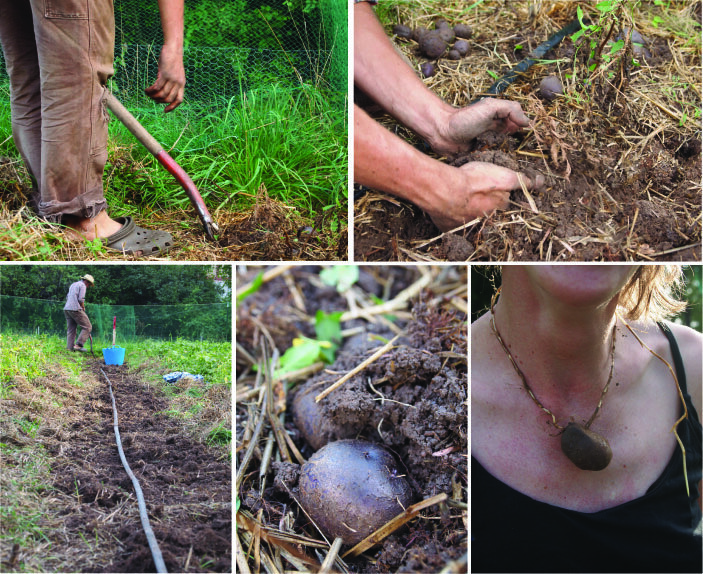 Here’s a brief recap of what’s been happening on the farm these past few weeks (we’ve been -admittedly- a bit distracted from updating our website. Too much to do). 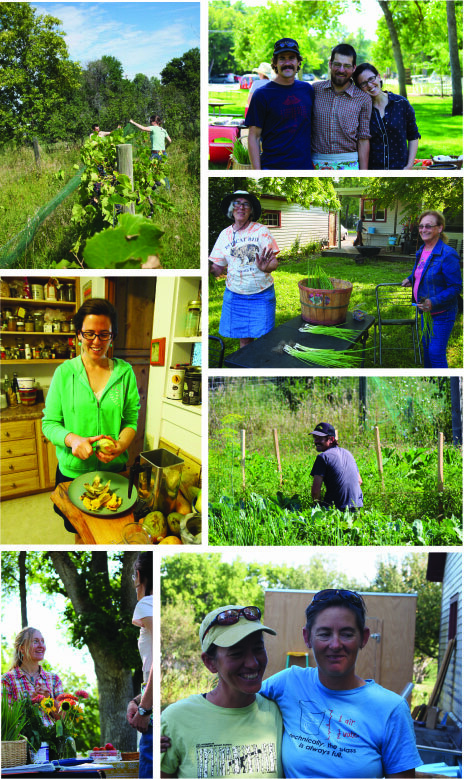 We’ve been enjoying having so many excellent friends and family come visit the farm this summer. Not only is it a treat to have additional, capable, willing, hard-working hands to help out, the camaraderie, enthusiasm, conversation, smiles, it’s all SO GOOD – thank you, dear friends. 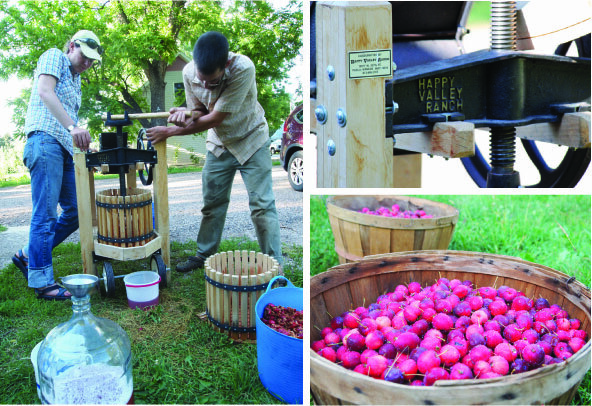 Cycle Farm has newly acquired a super fine, new-to-us cider press. Such a smart tool. So far, we’ve put it to work on bushel baskets full of crab apples for hard cider, apple-apples for sweet/fresh cider, and grapes for wine and juice. When the sun goes down, Sandor Katz comes out. It has been an excellent season for apples in the valley. We are learning about the old apple trees on the farm, they are droopy with fruit – each ripening at a slightly different rate, tasting differently. The grape harvest is also tremendous this year (last year, the birds swooped in on us and snaked the entire harvest). 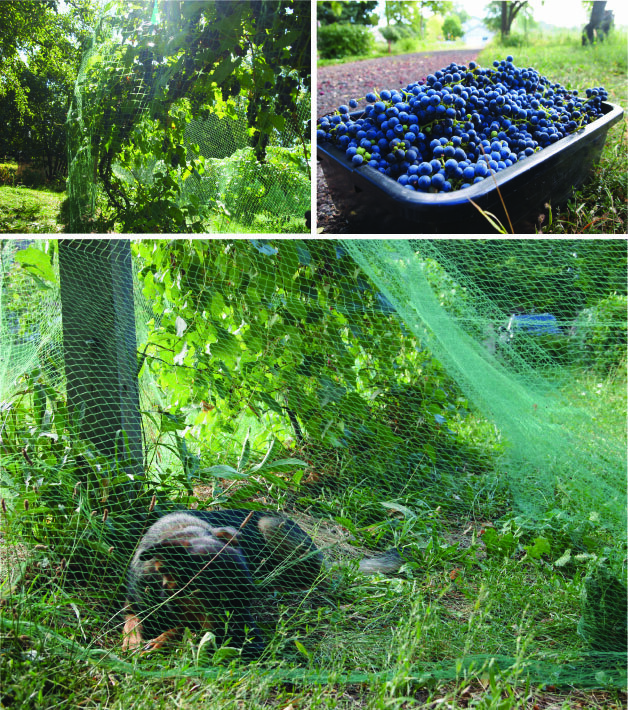 We’ve got bird netting protecting the vines and the yield has been great, between 20-30 lbs per vine. Big thanks to Laura and Dionysus – er, I mean – Derek for coming out to help with the harvest and pressing. Mostly, we have Valiant grapes. Valiant is kin to the Concord grape, it is a South Dakota-bred, cold hardy vine; they are superb jam and jelly grapes, also good for juice and wine, and munching on, straight up. We are drinking a lot of grape juice these days, we are saturated with antioxidants. And we just discovered grape rosemary jam, which, it turns out, is a bit like falling in love. If you are interested in juicing, wining, jamming, and would like grapes – please give us a call. We are also putting up seed for next year. There are some limitations to what seed we can successfully save given the diversity of varieties we’re growing and the amount of space we have; we are mindful of isolation distances and testing out how to use staggered timing to our advantage. So far, we are saving snap peas, tomatoes, tomatillo, dill, beans, garlic, eggplant, loads of different flowers. 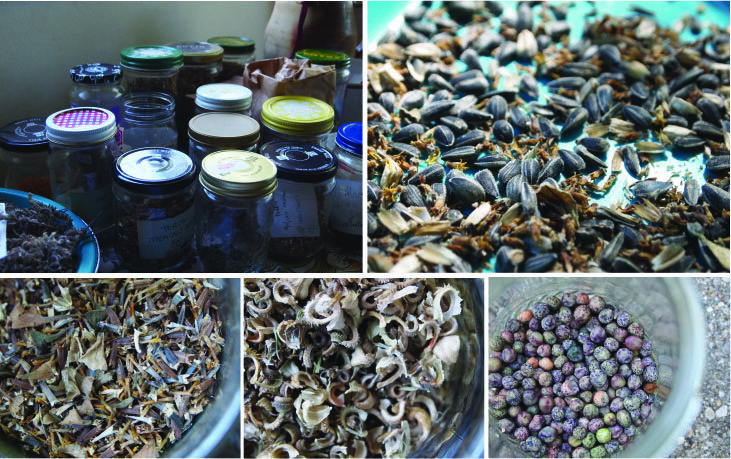 Much of the seed saving is in extra special preparations for a free, community Spearfish Seed Exchange next spring. (If you are interested in helping with this, please contact us). 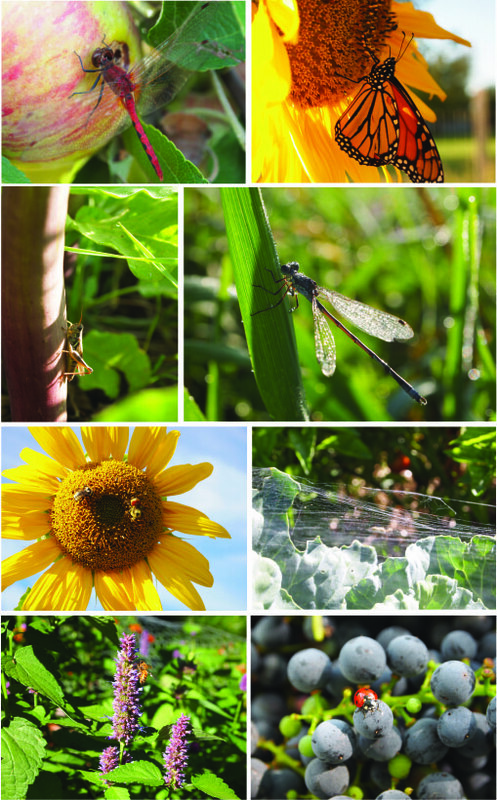 If these little critter photos get you jazzed, check out the USGS Bee Inventory. Storage crop update: the potatoes seemed to have fared the generally wet, cold season alright. There is something funny going on with the dry beans, yield isn’t as great as we had expected. It looks like we won’t get a popcorn harvest this year, but winter squash are coming along well (despite the onslaught of cucumber beetles earlier this summer). 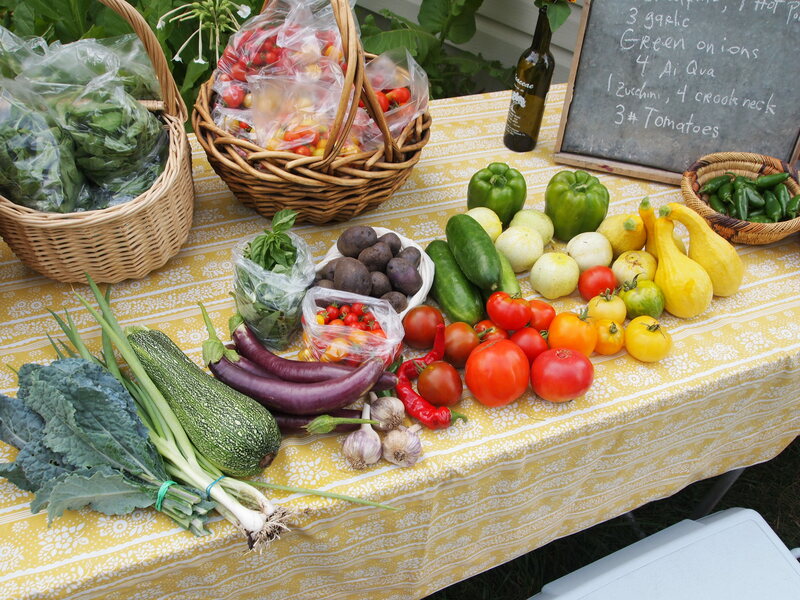 The CSA shares have been filling up with the peaking harvest. 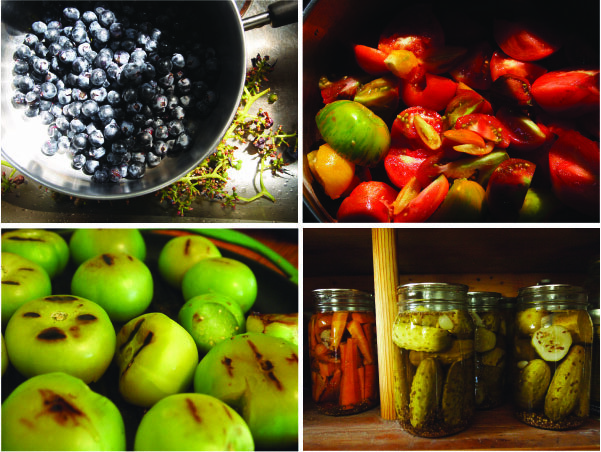 Check out our newsletters for what’s growing on the farm, farm updates, recipes, and more. ALSO! Cycle Farm got a chance to help celebrate Spearfish’s very first annual BIKE WEEK. Holy smokes. A whole week jam-packed with bicycles, fun community events, pedal-powered ice cream!! Some of the highlights include: 125 people at the community ride through town, local foods served at a massive, feed-everybody picnic, water slides and PeeWee in the pool, ice cream (total pedaled: 20 gallons! ), an incredible women’s fix-a-flat workshop at the Co-op, alley cat scavenger hunt, and ultra slow bike races! Absolutely cannot wait until next year. Big thanks to everyone who helped organize this! Oh my goodness. The pictures are amazing.